Upgrading your Android smartphone can be annoying if you aren’t getting a device from the same brand. That’s because, unless you have a rooted device with TitaniumBackup, you may find yourself having to set up all your apps again since the built-in backup solution isn’t that robust. 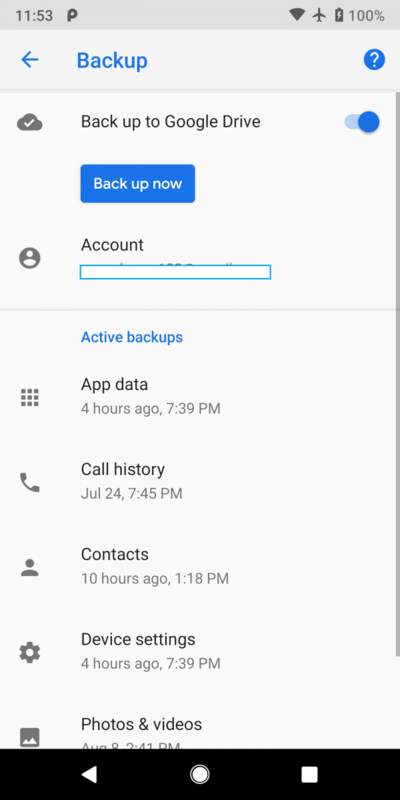 While the built-in solution can backup contacts, call history, and text messages to your Google Drive account, there are limitations for what applications’ data and device settings it can backup and restore. 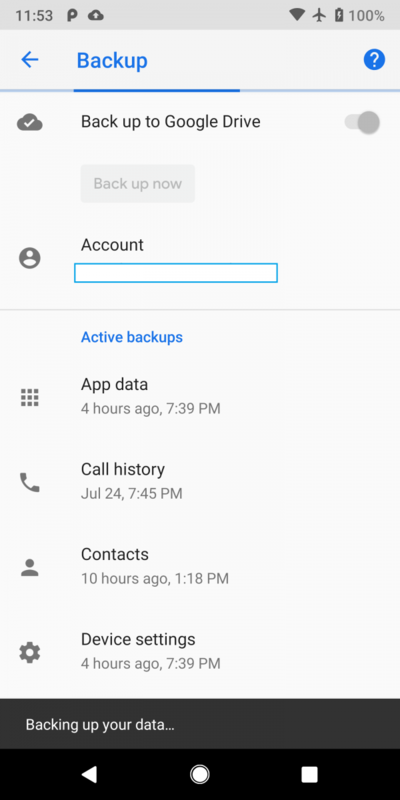 The built-in Google Drive backup will work pretty well if you’re upgrading from, say, the Google Pixel 2 to the upcoming Google Pixel 3, but there’s one feature that the backup feature is missing: the ability to manually trigger a backup. Fortunately, Google has confirmed we’ll get manual Google Drive backups in “a future release,” and we have since spotted the in-development feature in the latest Android Pie release. Currently, you can only enable or disable Google Drive backups by going to Backup & Reset in System settings. The backups can’t be started manually from Backup & Reset settings as they’re tied to conditions like time or power. Google said that manual backups of your data to Google Drive would be coming in a future Android release, but it wasn’t clear if the feature would arrive in Android Q or in one of the monthly updates for the Google Pixel. With help from XDA Recognized Developer Quinny899, we managed to enable the manual backup feature on a Google Pixel 2 XL running Android 9 Pie with the latest October security patches. 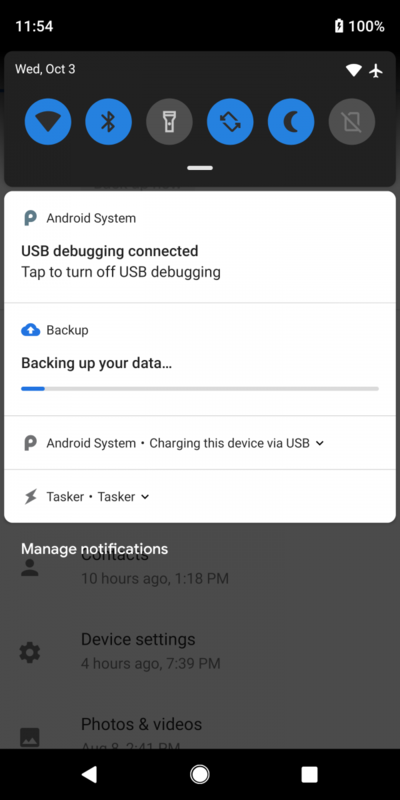 While we can’t say when the feature will roll out, the fact that it’s fully functional in the latest Android release suggests that Google could add it in a future update without delaying it for Android Q. Hopefully in the near future, you’ll be able to manually trigger a backup of your data so you don’t have to wait for the backup to automatically trigger before you head out to sell your device. Application-specific backups like WhatsApp can get pretty large, but fortunately, Google will no longer count WhatsApp backups against your Google Drive storage quota. Any photos or videos that you store on your device’s internal storage aren’t backed up to Google Drive, though the Backup & Reset settings page directs you to Google Photos so you can upload your entire collection in high quality. If you really want to know how to manually trigger a Google Drive backup in Android, there’s actually an ADB shell command you can run which will start the backup process. The exact same limitations apply, though, so don’t expect to get a full data backup this way.